Spring’s a bloomin’ marvellous season, with wild flowers bursting out all over. 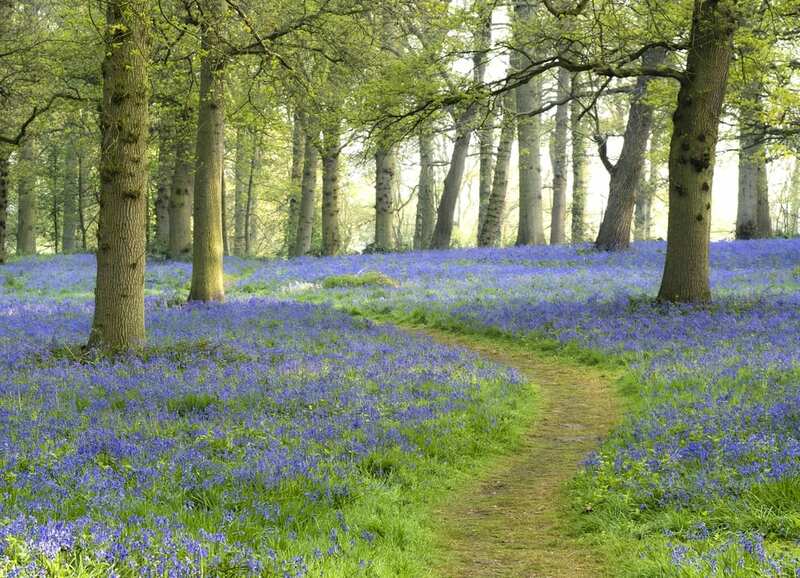 Snowdrops, daffs, crocuses, they’re all beauties but there is no sight more captivating than a carpet of common bluebells. 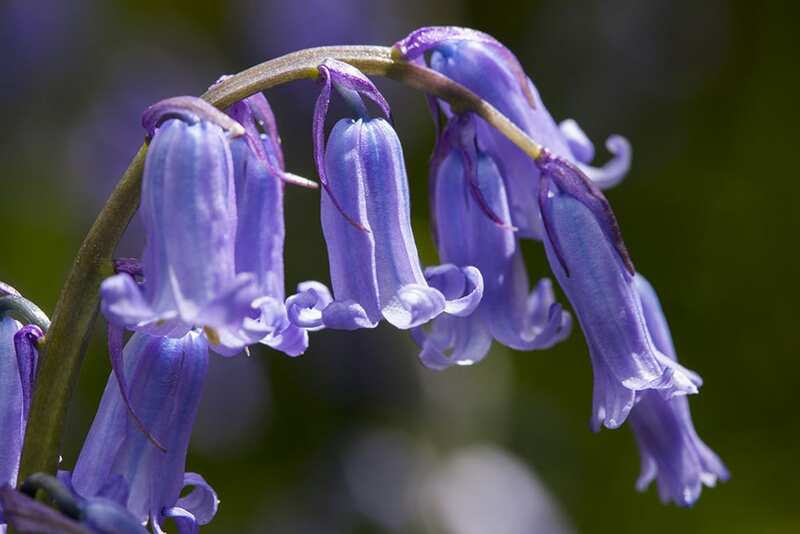 You might not know this, but half of the world’s bluebells grow in the UK! We’ve picked five of the best places to see them. 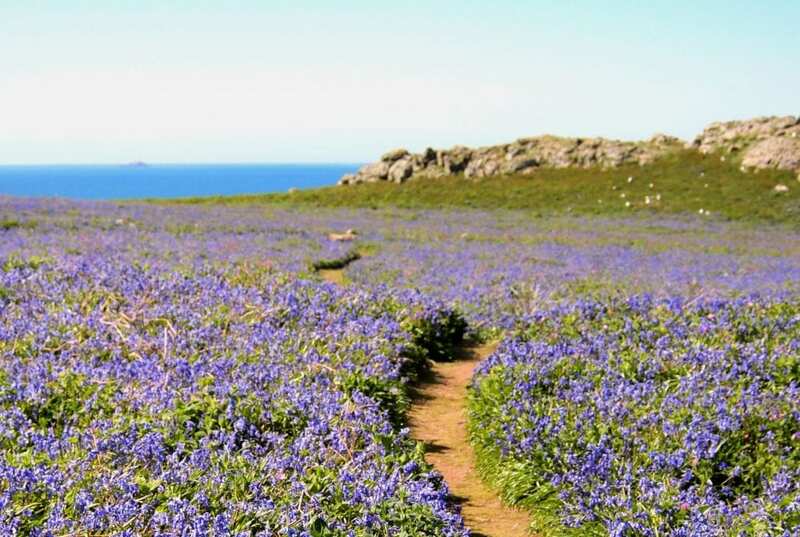 Skomer Island is a nature-lover’s paradise. Lying less than a mile from the peerless Pembrokeshire Coast, it is home to a remarkable puffin population, the world’s most important breeding colony of manx shearwaters, plenty of gulls, guillemots, razorbills and gannets. And in spring the island is a blaze of bluebells and pink campion. Spend a sensationally scenic hour cycling from YHA Broad Haven to Martins Haven to catch a boat to the island. Boats depart at 10 am, 11 am or 12 noon, Tues to Sunday, April to September and the trip takes a mere 15 minutes. With its grand red-brick mansion, ornate Doric temple, wild woods, secret garden and orangery, Anne Boleyn’s birthplace has plenty of places to explore. This season though, swathed as it is in bluebells, the National Trust-managed estate is at its most breath-taking. There are a number of blue beauty spots but be sure to stroll through the Great Wood and snap some photos in the formal gardens. The Norfolk estate is so famous for its indigo flowers that it holds a celebratory Festival of the Blues in May. Book your tickets to look forward to picnicking in the picturesque gardens on 27th May to a soundtrack of blues music. Cheddar Gorge isn’t short of spectacular scenery. From the gigantic underground chambers of Gough’s Cave to the soaring 450ft cliffs outside, you’ll have loads to look at. But don’t miss out on the fantastic flora and fauna to be found in the Cheddar Complex’s three nature reserves. Long Wood is an astonishing ancient bluebell wood with easy walking trails. It’s also home to orchids, wood anemone and yellow archangel. Get there by following the B3135 out through the Gorge; about 2.5 miles from the hostel, after the big bend, you’ll find Black Rock Gate; divert up through the trees and walk the Black Rock Walk until it meets the West Mendip Way. Dubbed ‘Little Switzerland’, this wooded valley in the South Pennines is such a pretty spot. Walk the miles and miles of footpaths to discover rushing streams, tumbling waterfalls, deep ravines and tall trees. 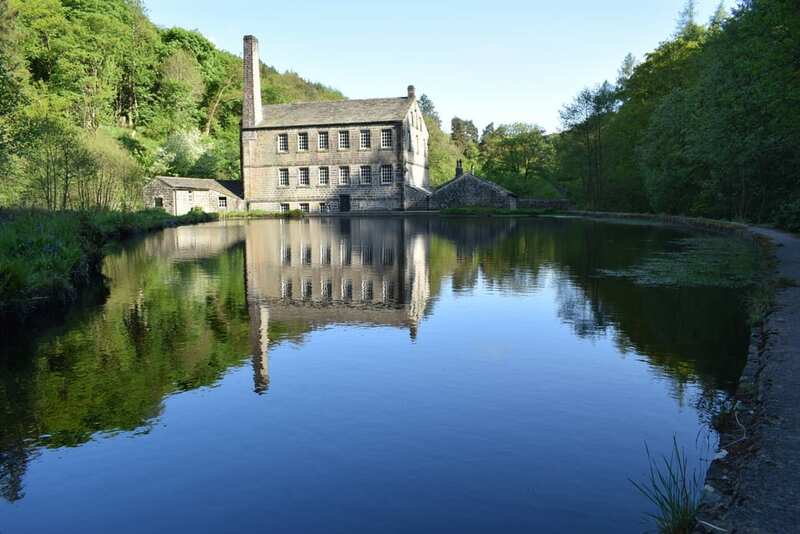 19th –century Gibson Mill lies at the estate centre and houses a family-friendly visitor centre. 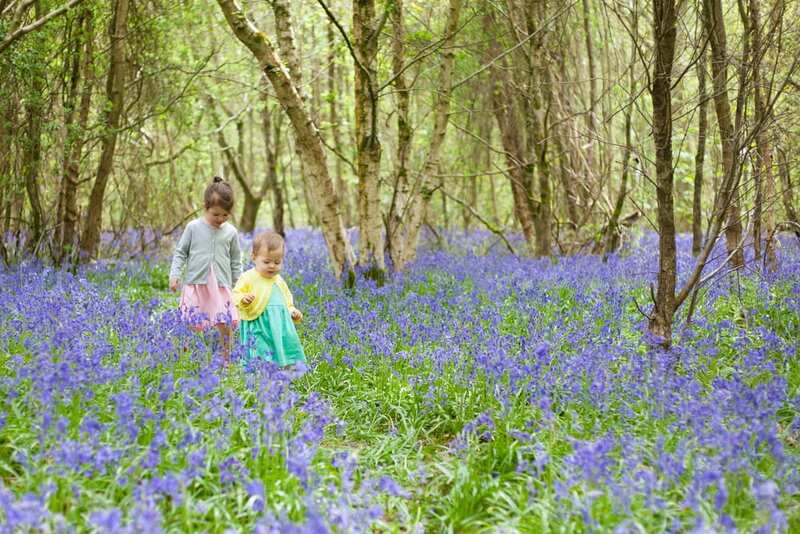 Visit in May when the bluebell woods are at their very best. To get there, leave the car behind and hop on the bike instead. Cycling north from the hostel you’ll soon reach the traffic-free Rochdale Canal stretch of Route 66. Riding up through Hebden Bridge and then Heptonstall to Hardcastle Crags takes about 45 minutes. You’ve got to be quick to catch this one as it’s only open between 7th April and 13th May. Seize your window of opportunity and make the sensational South Downs your spring break destination. There are seven walking trails at Arlington, spread across three working farms. So, as well as enjoying walks through white anemone and bluebell woods you’ll have the chance to meet the sheep, pigs and angora goats that call this place home.